Buying a house in Italy? Why not Sardinia! While considering buying a property in Sardinia, we will assist you with every step it takes to make the legal transaction safe and smooth as possible; our client’s interest is our priority. With over 10 years’ experience and full qualifications in the real estate industry, we make sure purchasing a property in Italy cannot get any easier. Sale price indicating the amount paid at the time of the signature and all payments to be made up to the final sale. Name of Seller and Buyer, places and date of birth, nationality and Italian tax identification number (defined as Codicefiscale). Identification of the location of the property you are purchasing. Full description of the property as stated in the Land registry. Verification of the Seller legal title. Date scheduled for the signature of the Final Deed of Sale (defined as Rogito). Planning permission and other licenses references. Identification of all incorporeal hereditaments and other covenants that affecting the property and those benefiting the property (rights of wayand access to sites, water, pipelines, etc.). Map of the building or land (both parties are required to sign it). In some cases you might complete the purchase only after a certain event has occurred, for instance your mortgage application being accepted;or an additional planning permission being granted (ex. : for a swimming pool);or after a successful survey on the building being completed, etc. Once you have found the property you are interested in to buy in Sardinia, you should make an official offer to purchase (reservation agreement). Usually this offer is valid for few weeks and involves the payment of a small deposit to the estate agent or seller. Once the offer has been accepted by the Seller, then you can proceed and sign the Preliminary Contract (in Italian language ContrattoPreliminare). The Preliminary Contract is an important act in the purchasing process as it is a legally binding agreement and both parties have the mutual obligation to complete the purchase. At this stage you will have to pay a deposit (ranging between 10% – 30% of the sale price) defined as CaparraConfirmatoria. The legal significance of this payment is that either side will be financially penalised in case of withdrawal (the Vendor would be required to pay the purchaser the double of the deposit, whereas the Buyer would forfeit the deposit to the Vendor). 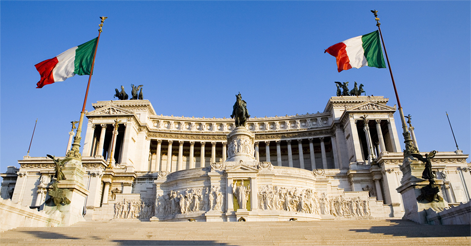 The final stage in buying a property in Italy is the execution of a Title Deed (Rogito). This contract must be signed and finalised in the presence of a Public Notary (called Notaio): the Notary is an independent and impartial officer who performs the vital task of registering the sale in the Land Register (called Conservatoria dei RegistriImmobiliari). At this stage the purchaser pays to the Notary the remaining price for purchasing the property, the Notary fees (usually ranging between 2.5% and 3% of the property value) and the registration and purchasing taxes (see below). For completion, the Buyer must have a tax code payer (called CodiceFiscale), provide a passport and ensure that all necessary finances are available.